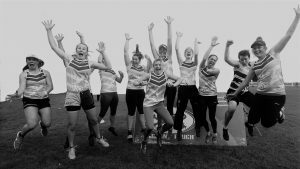 Players have been training through the winter to ready themselves for the new touch season and it is finally upon us. So get your kit go purchase new boots (after you discover your old ones are mouldy) and gather your mates. Its almost time for tap off at Coldhams Common! Thank you all for registering to play in the Cambridge teams for the midlands tournament at Coldhams Common.